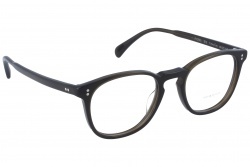 Glasses from this brand are among the best of the sector. The quality of its materials and their innovative designs place them in the highest level. 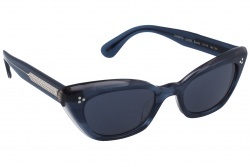 Their collections offer a great variety of models for all tastes and necessities. 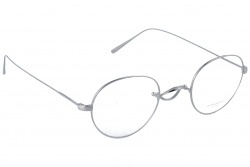 All their glasses are designed through a very meticulous handcrafted process to create high quality models. 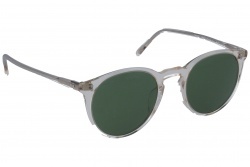 The glasses are made with personalized details both in metal and acetate. 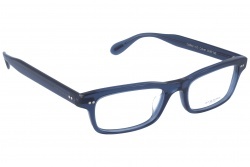 Each year the brand launches new models, offering new colours both in frames and lenses. In our store we offer the most wanted models from Oliver Peoples. 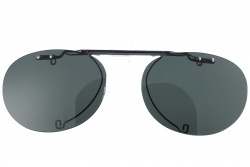 Sunglasses from this brand have great protagonism since its lenses have the highest UV protection. 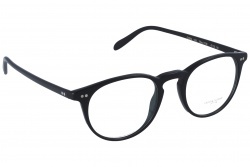 Furthermore, they are made with the highest quality materials and the most advanced technology for the manufacture of their frames. 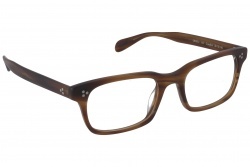 The combination of their filters, materials and brilliant colours allow a better and sharper vision. 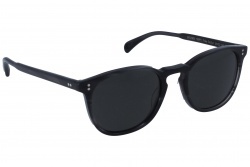 This brand is a great option when buying sunglasses since they have a classic style that project a unique image. 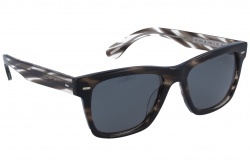 If you are looking for sunglasses for men you can choose among a wide variety. For example, Sheldrake Sun offers an intellectual design inspired in Andy Warhol. 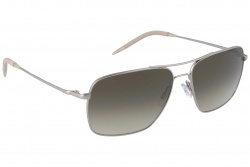 If you are looking for a more classic model Conduit St presents a very light aviator model. 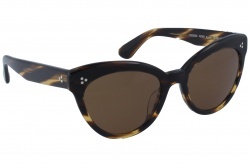 If you are looking for sunglasses for women you can choose among a lot of models and styles, for example cat eye, aviator or round. For example, The Row Parquet presents an ultra-feminine design, modern and with bright colours. 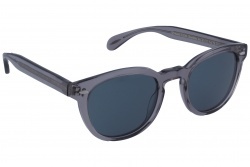 The creation of Oliver Peoples glasses is a complicated process, achieving light and thin lenses. 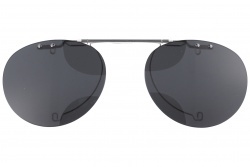 Moreover, the transparency of the lenses achieves a better optic precision. Some Oliver Peoples glasses use mineral lenses, anti reflectant and hardener treatments, etc. 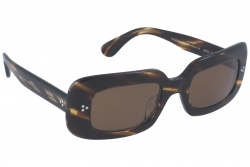 They offer a wide variety of combinations to cover all necessities. 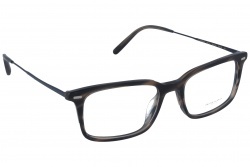 For this reason, eyeglasses from Oliver Peoples provide great comfort that allow wearing their glasses for many hours. 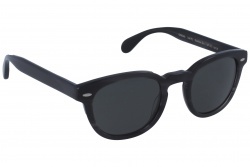 The brand has a wide variety of models in their catalogue. If you are looking for eyeglasses for men with vintage style you can choose the Denison model, with squared frame. 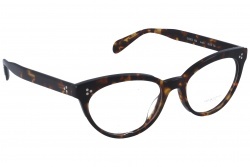 On the contrary, if you prefer to buy eyeglasses for women, you can choose the Pollack model with light and thin design. 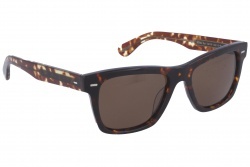 Furthermore, you can choose the Penny model characterized for its 50s style. 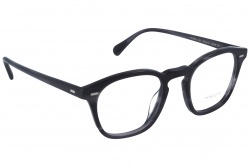 Glasses from this brand have millions of followers in the world, they are resistant and long lasting glasses. 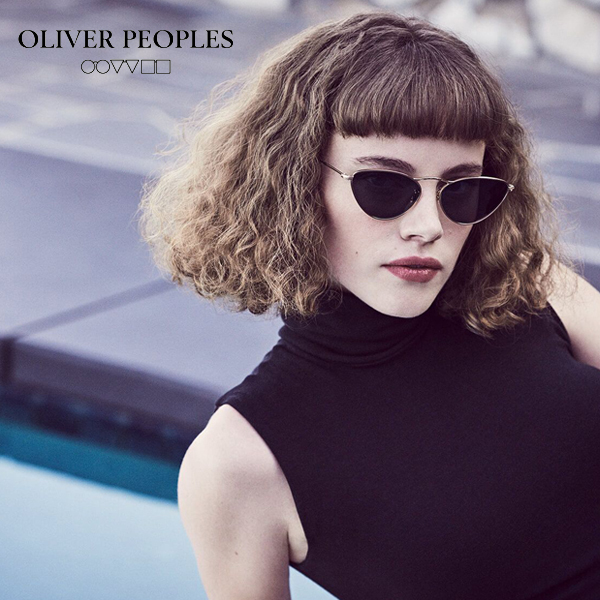 Oliver Peoples launches new models with retro style and unique combinations of colours. 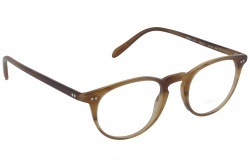 If you are looking for a site to buy Oliver Peoples frames you have our online store, in which we offer the latest models at best prices. All glasses from this brand come with their original case. The brand was founded in 1987, when they opened its first store in West Hollywood. 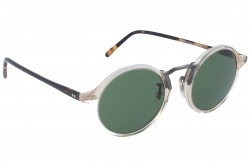 From the very beginning the brand has created glasses according to their first collection. 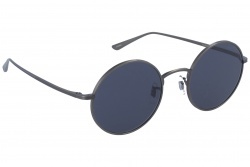 This was characterized for classic and timeless models influenced by retro styles. 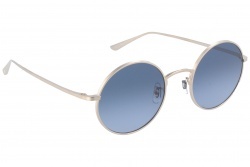 Oliver Peoples grew up and took place among the most important brands in the sector. 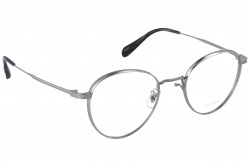 Celebrities like Jennifer Aniston chose Oliver Peoples glasses, as O’Malley or Sheldrake, to appear in TV. Also, in the year 2000, the film American Psycho makes a tribute to the brand through the Wall Street style. 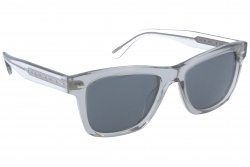 Moreover, in the year 2012 the brand launches the model Gregory Peck, inspired in the style of the actor in “To kill a mockingbird”.